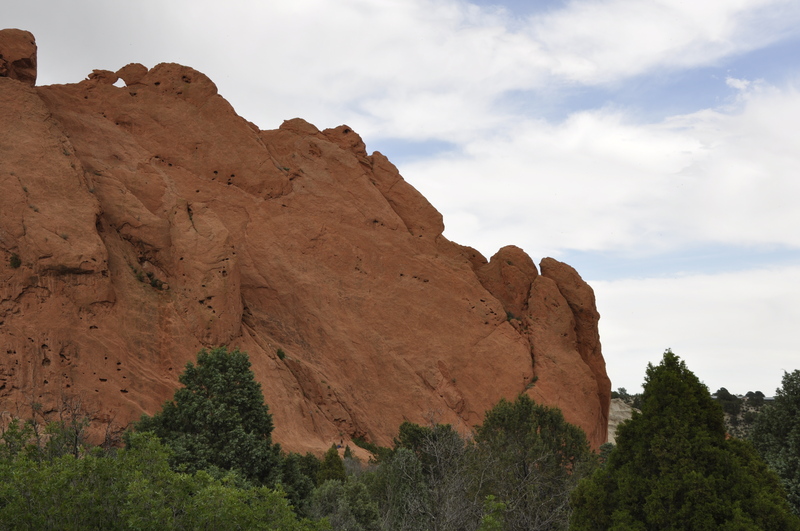 The last stop on our trip was one to Colorado Springs, where we had a pretty full day. 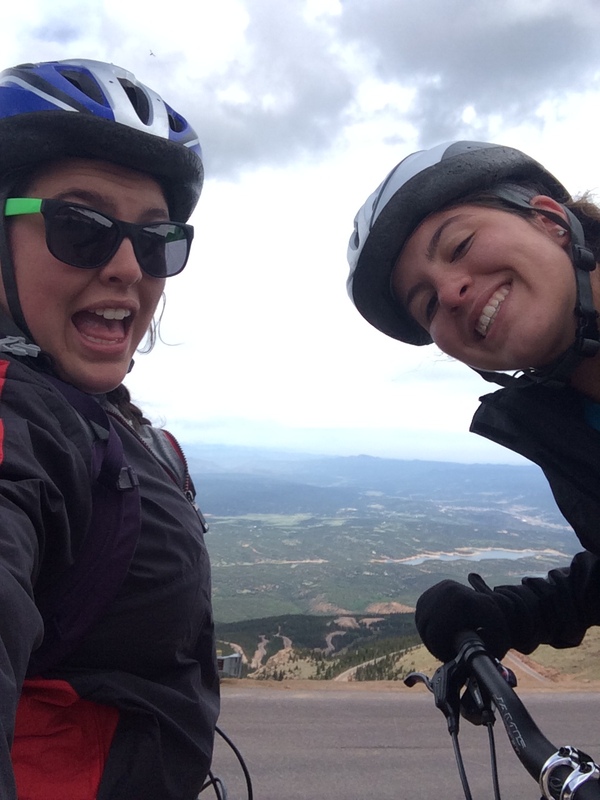 At 7am, we started our journey (via cog) up to the top of Pikes Peak (14,114′)! 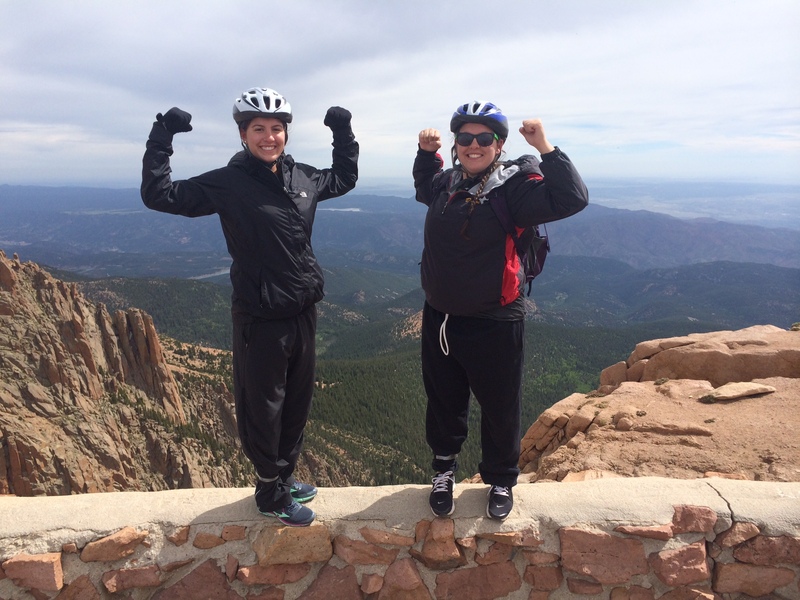 Once at the top (and after posing for a picture), we started our journey down – via bike! 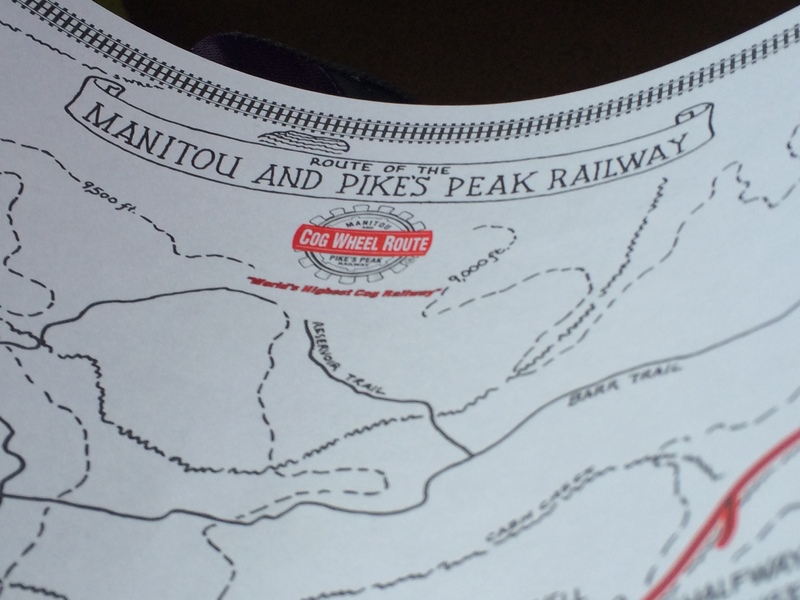 Charlotte and I hooked up with a biking company to bike down the 20-mile Pikes Peak Highway. 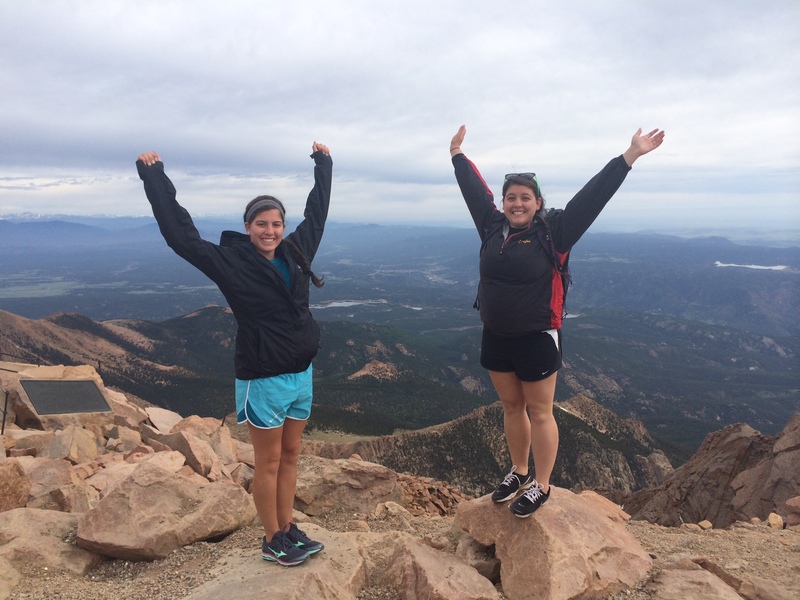 At the top of Pikes Peak! We took some selfies on the way down. The view was perfect and clear, which must have just been for us because the guides said it is usually hazy and hard to see. There were a few uphill parts, but for the most part, we jetted down the windy road (at about 30-40 miles per hour in some places!). And, we made it! It took about three hours with stops to catch our breath, bathroom breaks, picture opportunities and snack breaks. Almost at the bottom with the summit in the background! 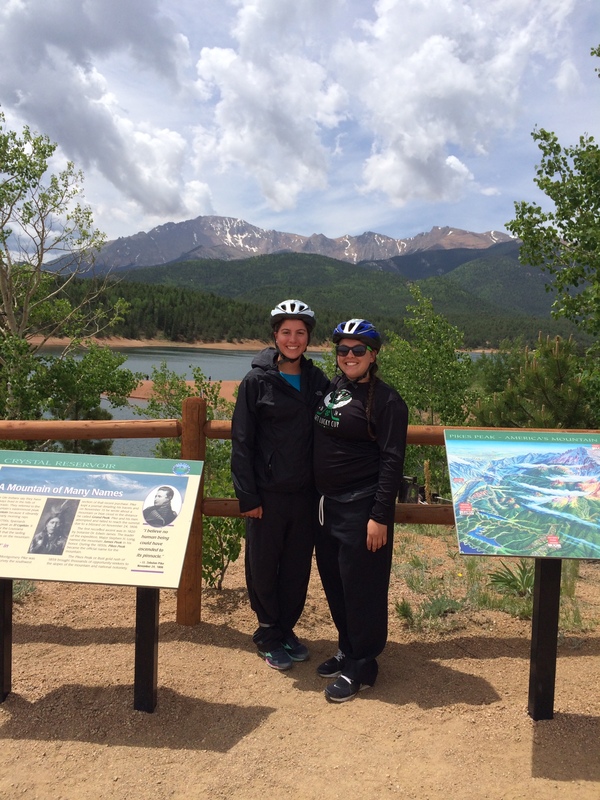 After having lunch at a winery (with the rest of the biking group), we headed to Garden of the Gods and took a leisurely drive through the park. 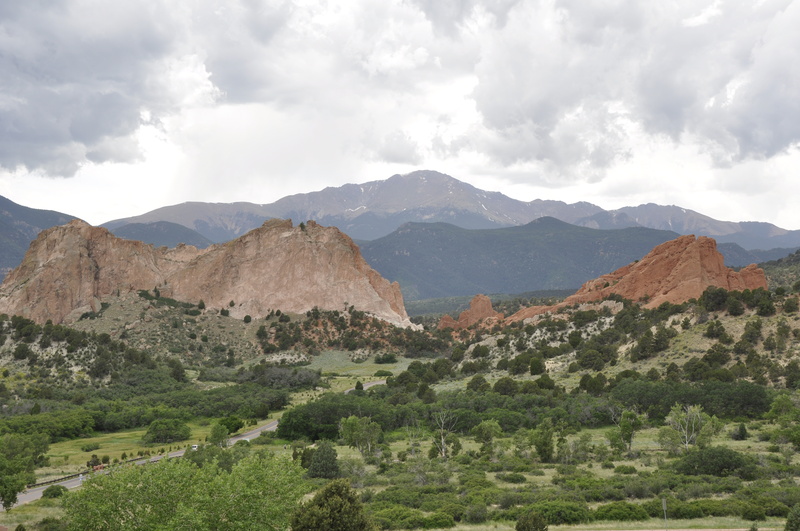 Pikes Peak in the background with Garden of the Gods in the foreground. 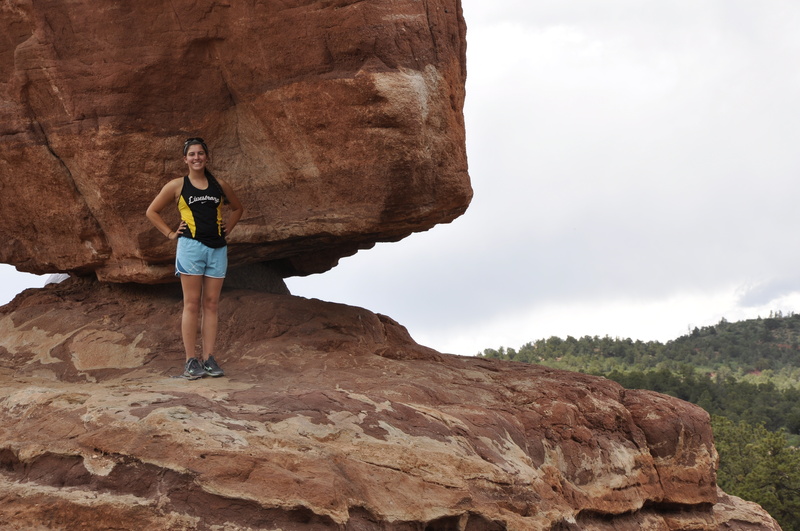 .. and at the “Siamese Twins” rocks. 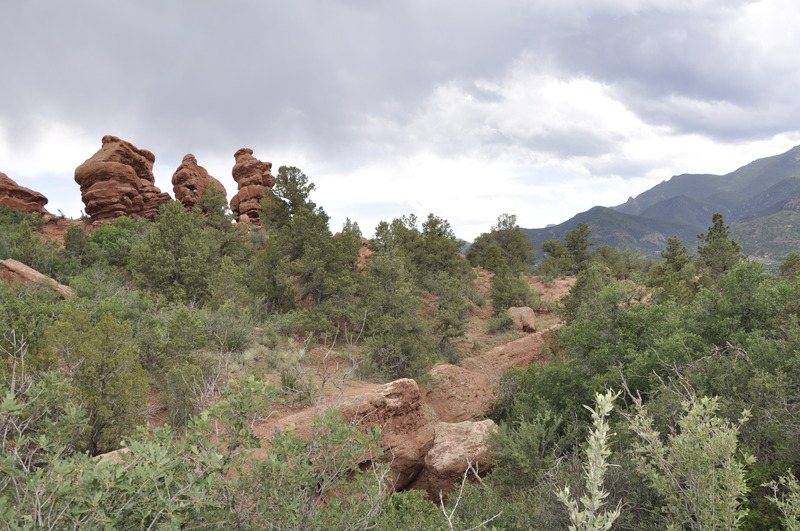 “Siamese Twins” – the two similar rock formations on the right. I hope you enjoyed my travels this week, and have a safe 4th of July!